One of the only Freeform producers in the country, Plastic Portal has been putting out some intense, cutting-edge Trancecore tracks. Oh no! These two Rapid City natives will be hitting the wheels of steel together to lay down a set of exclusive hard energetic trance. This kind of stuff only happens once in a blue moon so don't miss out! If you were here for Escape Velocity you know that this MC can really get the crowd going. Originally from the UK, ADB will be our MC for the night as well as MCing for Plastic Portal! Sound, Lights, and Video Projections: C'mon now, you KNOW we'll treat you right! 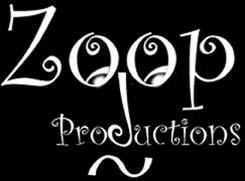 This pages design and content © 2000 Zoop Productions. All Rights Reserved.